Despite how it may appear to some, America is not a different place today than it was yesterday. I am uncertain of many things today, but of this I am sure. Donald Trump won last night. He may not have won the votes of the majority of Americans, but under our system of presidential voting, he won the election fair and square. It was like a gut punch to those of us who didn’t see it coming, or who refused to allow ourselves to see it coming. I won’t lie to you – I didn’t sleep last night, and I might not sleep much tonight either. But America is still the same place. We are a spectacularly imperfect nation. We lurch back and forth between competing visions for our future, between the natural twinned instincts of hopefulness and fearfulness. We have moments of great courage, but we are also capable at times of immense panic and worry. We take all comers, and ask everyone to keep a bit of where they came from while adopting something common to the whole of us. Our heterogeneity is our strength, but it also creates frictions and tensions. None of this is new. Last night hurt. Never in our lifetime has a candidate for president ran a more hate-filled, bigoted campaign. It felt like we took a step backward in our progress toward a more compassionate, inclusive nation. But that doesn’t have to be our fate. We can choose to take Donald Trump at his word last night and take steps to heal the wounds caused by this bitter and divisive election. We can refuse to reflexively back ourselves into a dark, angry corner, and choose instead to be fair-minded umpires – calling the balls and strikes as we see them, working with our new President when he proposes good, and fighting him like hell when he proposes bad. And we can put our heads down, and keep working on the things that still matter. Hell, last night, three out of the four state referendums tightening guns laws passed. Nevada, California, and Washington are safer places today because of these victories. And the top targeted Senate race for anti-gun violence groups, New Hampshire, looks like it went our way. If you are passionate about changing our nation’s gun laws, you can see a pretty bright silver lining in last night’s cloud-filled sky. It inspires me to fight on. And so I walked into my Hartford office this morning and declared to my weary staff (who were, by the way, all at their desks at 9AM today – miraculously), “It’s another day to do good things in the world.” They awkwardly smiled at me, but I meant it. Last night, everything changed and nothing changed. We have a new President – one that half the country didn’t want. But let’s be honest – had Hillary won, we would still have a President that half of America didn’t want. So it’s still the same complicated, imperfect nation that it was before. And our job – to do good in the world, to be good parents and spouses and neighbors and friends – that doesn’t change either. I might not sleep tonight, just like last night. But I’ll walk out my door tomorrow morning, Diet Mountain Dew in hand as always, and get back to work. And so should you. 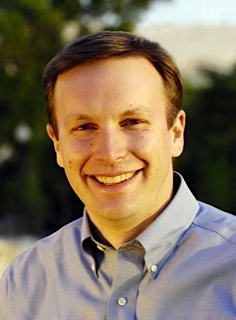 This entry was posted in Chris Murphy, Presidential Politics. Bookmark the permalink.